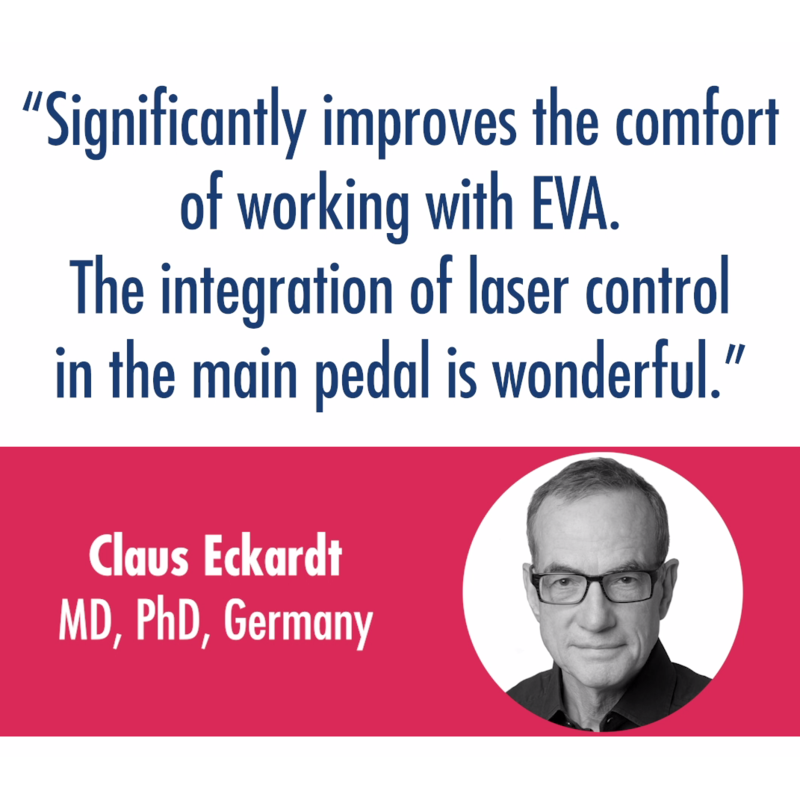 At the heart of EVA is a revolutionary fluid control system called Vacuflow VTi. Vacuflow VTi uses Valve Timing intelligence (VTi). 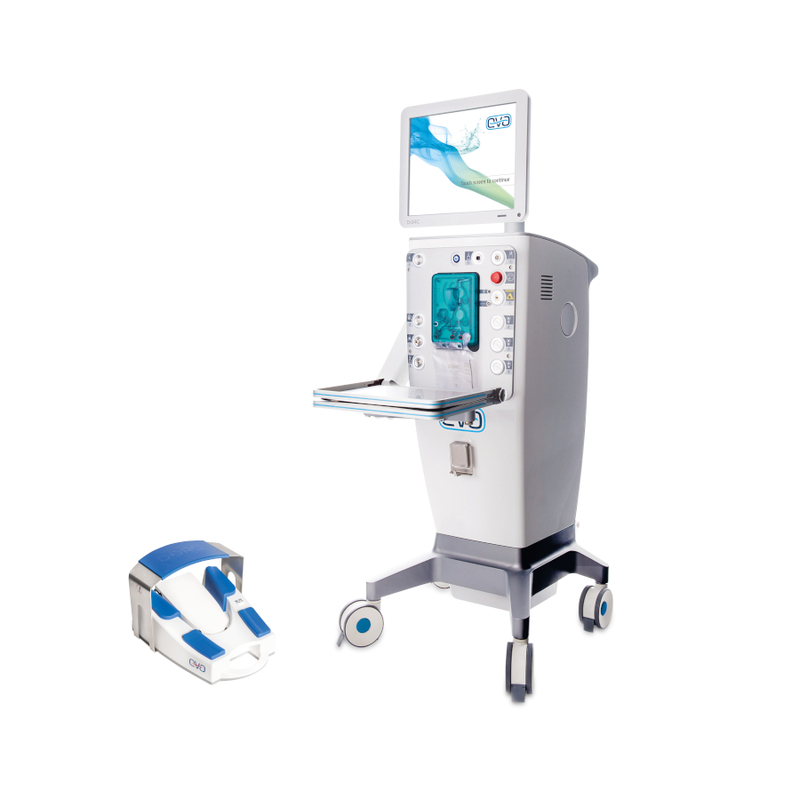 The beauty of our Vacuflow VTi technology is that it eliminates the risk of unwanted pulsation or unwanted flow; it just effortlessly delivers the precise flow and fast vacuum required by the surgeon. 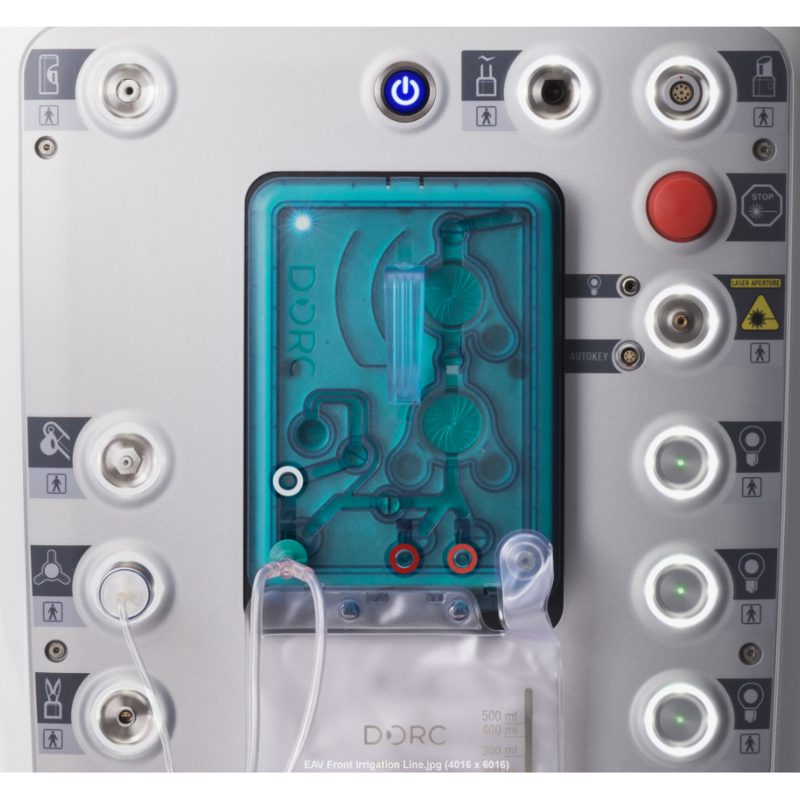 TDC with VacuFlow VTi fluidics allows surgeon to control flow of tissue into the port for precise cutting. 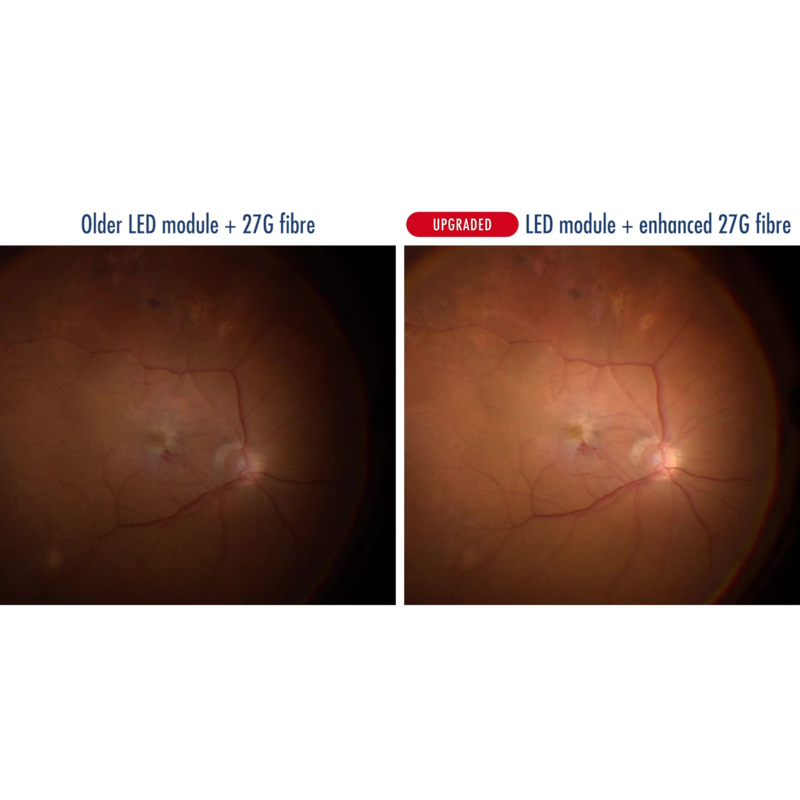 Port open design reduces intraocular turbulence caused by traditional cutters allowing better surgeon control. 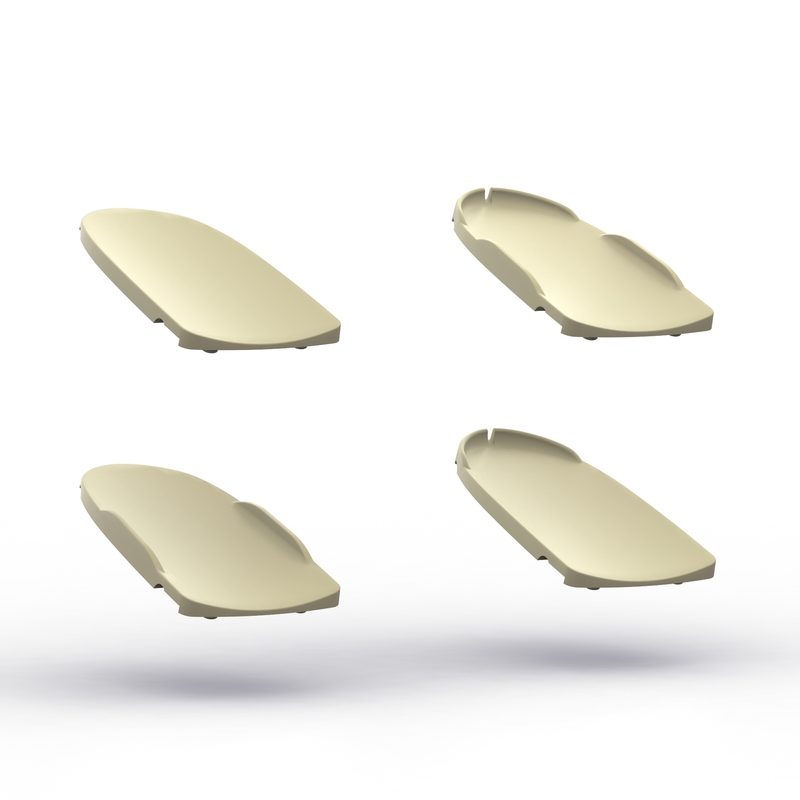 TDC cuts in both directions doubling the cutting further reducing traction. 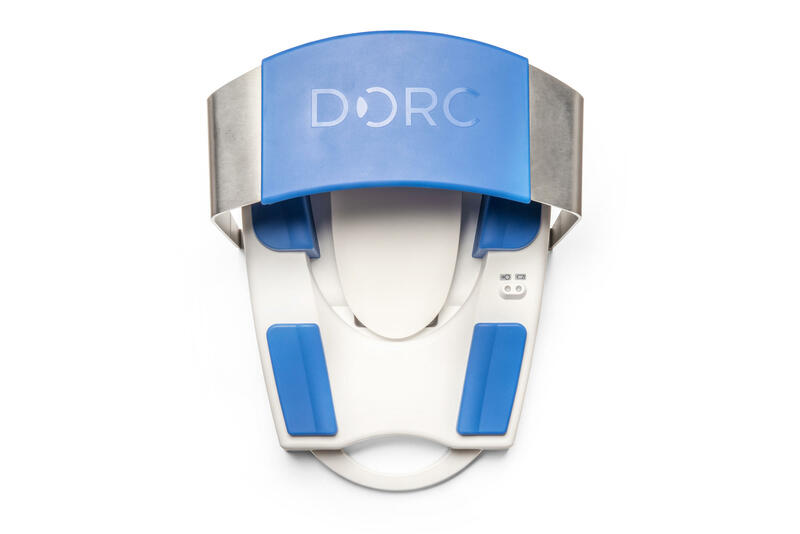 Port open 92% of the time - for faster tissue removal. 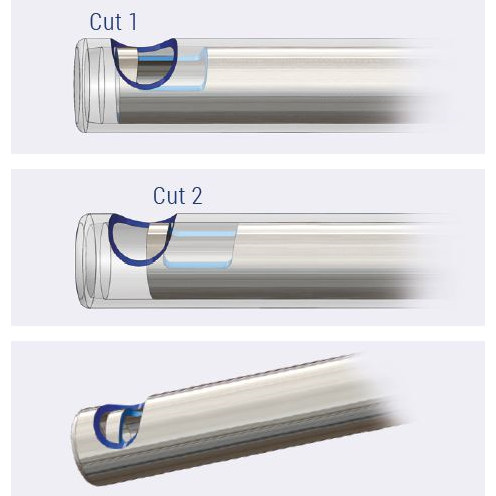 * The TDC cutter has a cut speed of up to 8,000 CPM and is designed to facilitate cutting tissue on the return of each stroke of the vitrectome, effectively doubling the cut speed. Combining TDC with up to 16,000 CPM* and VacuFlow VTi fluidics defines a new standard for surgeon control. 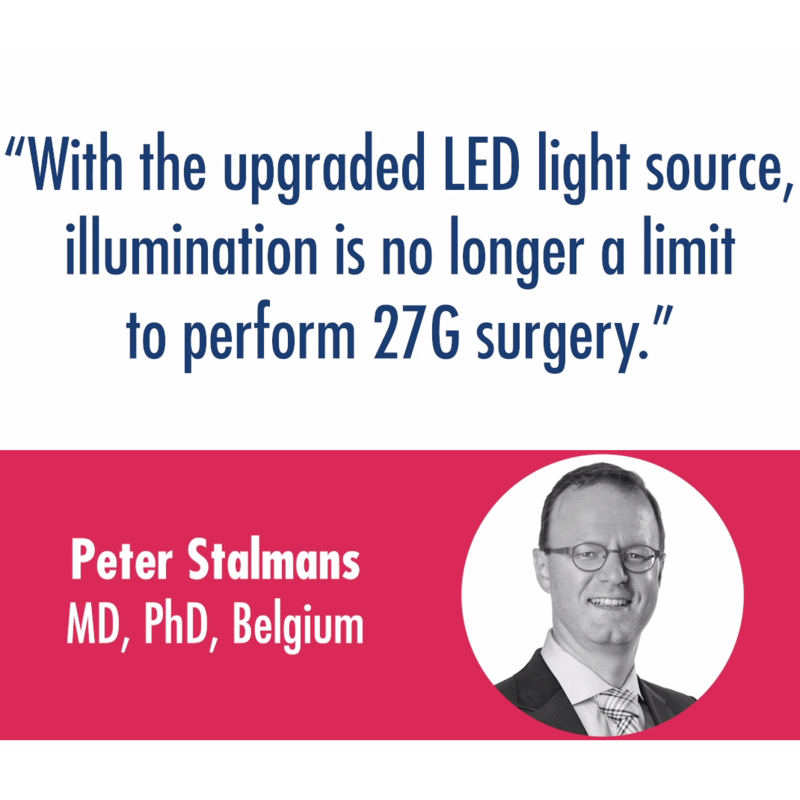 Significant cost savings compared to traditional Xenon bulbs (400 hours). 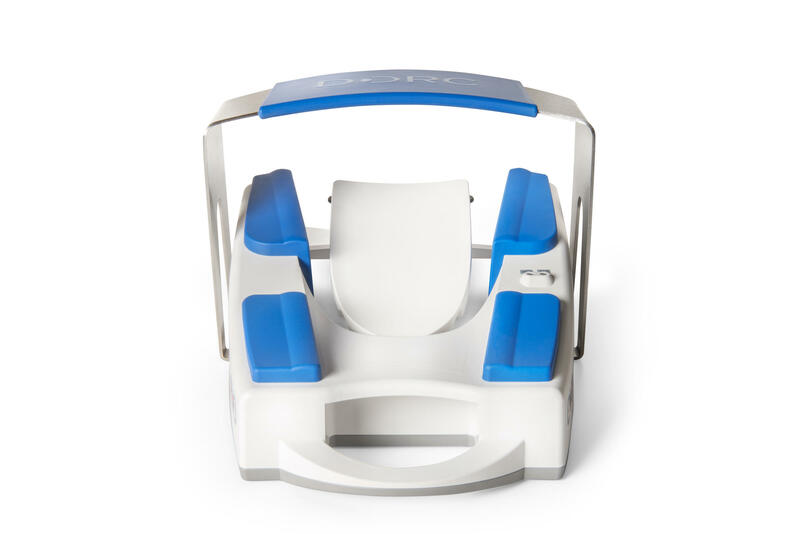 Increased safety profile for extended or highly complicated cases.